DAHLONEGA, Ga. — Kelley James McDonald Jr., 39, a fugitive wanted in Florida for multiple counts of domestic abuse, has been identified as the shooter in Thursday’s murder-suicide that took the lives of three adults and sent one unidentified teenager to the hospital. The deceased have been identified as McDonald, his ex-wife Kelly Garrison, and her sister Tracy Runnels. An unidentfied 16-year-old female also suffered a gunshot wound and was transported to an Atlanta-area hospital where she underwent surgery Thursday. Her injury is not believed to be life-threatening. A 13-year-old female and a 2-year old female suffered only minor scratches in the incident but did not need to be transported to the hospital. Authorities declined to identify them because of their age. 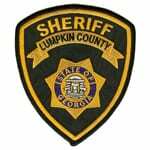 At approximately 8:20 a.m. Thursday, Lumpkin County deputies responded to a “shots fired” call. Upon entering the residence, they found Runnels’ body and the 16-year-old female, who had been shot, in the upstairs portion of the home. As they began to clear that floor, they heard three more shots coming from a lower floor. Downstairs, they discovered the bodies of McDonald and Garrison. During a Thursday press conference, Lumpkin County Sheriff Stacy Jarrard said it appears the incident started as a domestic incident in Florida and that Garrison fled the state to come to Lumpkin County to hide at her sister’s home. 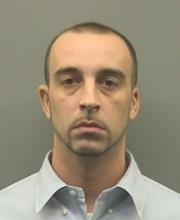 Authorities do not know how McDonald made his way to Lumpkin County. There was a report that an unidentified Ford Explorer SUV was seen leaving the vicinity around the time of the shooting. However, it now appears that vehicle did not play a part in the incident. There is some construction work going on in the area, and it looks like the SUV was in the area to drop off one of the workers.